Watch out: Controversy over sky-high drug prices is rocking the pharmaceutical market. In recent months, increases for old and new drugs have become the target of mounting public outrage. Critics contend that patients and insurers simply can’t afford these prices and that they’re driving up the cost of health care for everyone. Pharmaceutical companies counter that high prices are neces­sary to fund cutting-edge R&D and drive innova­tion, especially in risky, expen­sive fields like biotech­nology. In light of the pricing controversy, investors have already begun backing away: The once-thriving biotech market has fallen into bear market territory. Expect the pricing debate to remain a hot political topic. Recommendations to lower prices generally split along partisan lines. Democrats want the government to have the power to negotiate prices and allow the importation of drugs. Another proposal is to adopt “ref­er­ence pricing,” the system used in countries like Ger­many and Norway, to push down prices for drugs that have similar therapeutic effects. Republicans, by con­trast, champion increased competition and meas­ures that bring new treatments to market faster, such as the 21st Century Cures Act that passed the House in July. They also take the opposite stance on patent protection, arguing that patents should be extended to encourage innovation. Pay attention to promising areas in the biotech industry. Though fears of lower profits continue to loom over biotech, companies continue to pursue innovative therapies that they first target to small populations with the goal of eventually applying it to more widespread conditions. Among them is Spark Therapeutics, whose gene therapy recently succeeded in trials to improve the vision of patients with a rare eye disease, sending its stock soaring. One gene-therapy competitor, Bluebird Bio, has set its sights on the largest potential market yet: patients with sickle-cell anemia. Other up-and-coming players include Alnylam (gene silencing) and Juno Therapeutics (cancer immunotherapy, starting with blood cancers). Don’t bank on miracle breakthroughs arriving on schedule. The excitement over biotech today recalls the genetics-based frenzy of the early aughts. Ultimately, many of those startups folded—and a hefty share of those now promising big-time innovations like cancer cures and extended lifespans inevitably will, too. Some skeptics assert the recent price drops indicate the bub­ble has popped and that claims of rapid innovation are overblown. Molecular genetics professor Jan Vijg argues that despite the movement toward smaller-scale research, innovation has stagnated thanks to a research environment in which theory is prioritized over clinical experimentation—a result of the “publish or perish” environment and high regulatory barriers. In October, shares of Valeant Pharmaceuticals tumbled after reports emerged alleging that the drugmaker uses a specialty mail-order pharmacy to prop up sales of its costly drugs. Though the company has since announced that the pharmacy will shut down, the damage was done. It’s the latest black eye for an industry that is already under intense scrutiny over recent price hikes and the high cost of drugs in general. Mounting public outrage has sparked calls for action to bring patients and insurers relief, but the logic of lowering prices is less clear-cut than it sounds. Central to the debate is a thorny question: Are high prices necessary to incentivize money to flow toward what is a high-risk, expensive endeavor—and would lowering them impede scientific progress? How can drugmakers profit hand­somely off of decades-old drugs whose patents have expired? One reason is limited competition, particularly for drugs with small markets. Though comp­a­nies could produce alternate versions in principle, they usually don’t be­cause dev­el­opment is so costly. Another reason is our insurance-based health system, which largely shields consumers from the full brunt of price increases. Patients and doctors often develop loyalty to long-running drugs; if they’re happy, they see no reason to try something else. While companies like Turing and Valeant have been aggressively hiking the prices of older drugs, a steady flow of new and expensive drugs has hit the mar­ket. The most popular is Gilead Sci­ences’ Sovaldi, which effectively cures hepatitis C and costs $84,000 a person. High de­mand for Sovaldi, along with other drugs priced between $50,000 and $200,000 that treat conditions like multi­ple scle­rosis and cancer, is credited with driving up spending on specialty drugs across Medicare, Medicaid, and com­mercial in­surance plans 38 percent in 2014 alone. The strong pricing power for new drugs stems from different factors. Most important is patent protection; under the law, competitors can’t offer copies for up to two decades. When rivals do emerge—for example, AbbVie’s Sovaldi compet­itor Viekia Pak—the original drug may still win out because it delivers superior results. Since the United States does not regulate drug prices, pharmaceutical companies are free to charge what they want. As author Rafi Mohammed ex­plains in the Harvard Business Review, drug prices in the United States are often 50 percent higher than in other advanced countries (most of which negotiate prices)—a price gap that is maintained by a federal ban on reimportation. By means of this legal framework, friendly to Big Pharma, Americans in effect subsidize drug development for the rest of the world. But the flip side, of course, is sticker shock that squeezes insurers and state budgets. Last year, surging Medicaid spending on hepatitis C treatments—fueled by Sovaldi—spurred most state programs to restrict access to the drug to only the sickest patients. (Texas refused to pay for it at all.) Meanwhile, though most consumers may not feel the impact of steep prices directly, critics note that insurers eventually do pass on the costs in the form of higher premiums and co-payments. This issue of pricing is of major importance to one area of the industry that relies on huge returns: biotechnology. In recent years, this sector has performed well on nearly every measure, with stock prices high, capital pouring in, and a record number of compa­nies going public. In part, the enthusiasm can be attributed to greater confidence in a crop of maturing biotechs founded in the early 1990s that are reaching the end of their development phase. But it also reflects the expectation that their drugs and therapies will eventually command premium prices. Biologics are more structurally complex than regular “small-molecule” drugs and therefore cost far more to develop. If prices fall, pharmaceutical companies claim, the pace of innovation could slow. Already, there are signs that the industry is bracing for trouble. Since peaking in July, the Nasdaq Biotech Index has fallen 23 percent amid fears of regulatory action. Biotech giant Biogen just announced layoffs for 11 percent of its workforce. The debate over exorbitant prices has its roots in a longer generational story that has redefined the priorities and the organization of the pharmaceutical industry over the years. The G.I. and Silent Generations largely undertook R&D in-house at Big Pharma com­panies, where the extra profit from any single discovery was weighed against the long-term benefit to the company and its brand. Eventually, however, this top-down model came to be regarded as inefficient—so the firms began externalizing their R&D. This shift coincided with an upswell of Boomer and Xer scientists and researchers gravitating to “spinoffs” instead of large research departments out of a desire to maintain control of their intel­lectual property. During this period, the market-oriented ethos of the 1980s was also taking hold—leading to a new emphasis on big payouts for investors. These combined forces came to a head in the early 1990s. Headed by Boomer CEO Henri Termeer, the biotech company Genzyme pioneered the model of developing breakthrough medicines for rare disorders and assigning them six-figure price tags. This strategy, which is now common among today’s biotech startups, set up the tradeoff that the nation has faced ever since: In exchange for accelerated progress, we shell out for erratic, punishing prices as high as the market will bear. 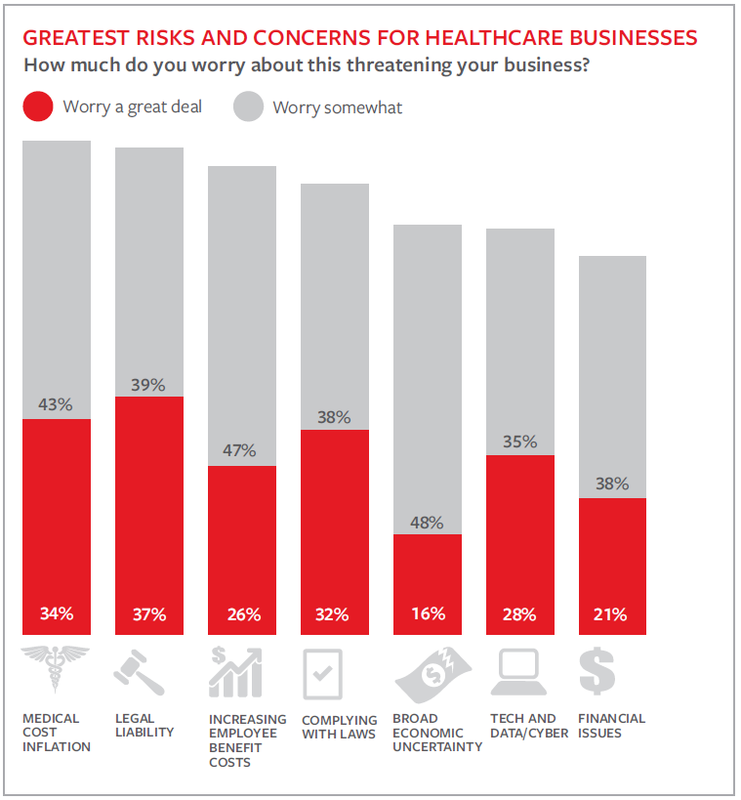 A 2014 survey from Towers Watson stated that health care cost trend has dropped to the lowest rate in 15 years. in 2014, the health care trend BEFORE plan and contribution changes was 7%. After amendments were made to the plan, that dropped to 4.4. Still higher than CPI. Do you know what other risks are on the horizon?